Address: 302 N. 5th St.
Hidden Gem in Hayti! 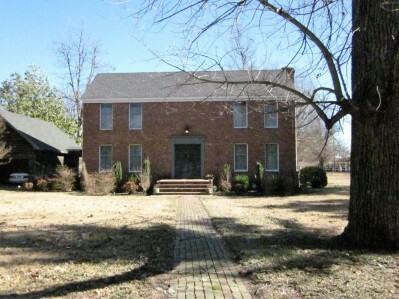 Beautiful property with 2.42 Acres m/l, Mature trees and a stately story book brick home all set in a central but secluded location! This home has 3 large bedrooms 2.5 Baths, family room with beams and wood burning fireplace, large eat in kitchen with island and farm house style, luxury master suite with walk in closet, bath with soaking tub and separate shower. 2 Car carport and 2 storage buildings and more storage above garage. Mls1545. Pre qualified buyers only. Listing agent Monica Smith.